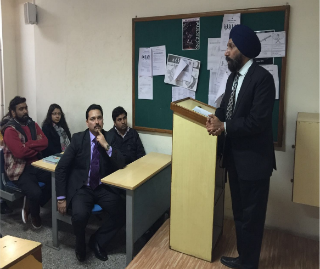 The IT Department had organized a Workshop under the title “Automation Testing and its Practical Implementation” on 22nd January, 2016 for MCA -2nd Year students by Mr. Kanwaljit Singh who is a Head (Testing and Quality) in Logic Eastern India Pvt Ltd. He is an expert in Testing field. The main area of discussion was focused on “Automation Testing”. He emphasied that manual testing would not only be time consuming but also more error prone In order to make it more efficient, Automated scripts are run which does all the testing. This type of testing is at par with the ongoing trend in the industry. Since for a project now margins are kept less and in less time release is done followed by a series of releases of the same product in various versions and it suits with agile technology. There are several tools available for writing scripts to automate test. The major ones are Selenium and QTP. Both the tools have their pros and cons and was given a brief insight about their functionality by him. Currently Selenium is in demand more might be the reason that it is an open source tool as well as it is web based. But QTP is web based as well as Desktop based. Both tools are very good and usage of tools depends on the various factors like cost and time. There were a surge in questions from students on various aspects and also real life cases were debated upon like the flipkart debacle. 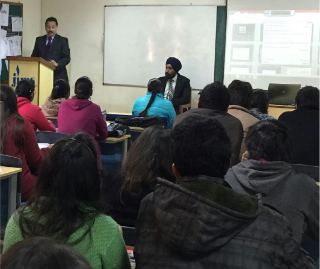 The Workshop was very Interactive and proved to be extremly beneficial for the students.